Jason F. Wood is the Arizona chair of the firm's Real Estate Practice Group, focusing his practice on a wide array of transactional real estate matters locally and throughout the country. In particular, he has significant experience in forming joint ventures, commercial leasing, acquisitions and dispositions, sale leaseback transactions, real estate secured lending, development and redevelopment projects, corporate mergers and acquisitions, construction contracts, condominium and mixed-use CC&Rs, and COREAs. Jason has assisted his clients in acquiring, financing, developing, restructuring, selling, and leasing shopping centers, automotive dealerships, office buildings, hotels, industrial parks, apartment complexes, and raw land, among others. His real estate practice also includes the preparation and negotiation of joint development, cost-sharing, and construction agreements, as well as restrictive covenants, easements, and related project documents in connection with the development of master-planned communities, shopping centers, and mixed-use developments. 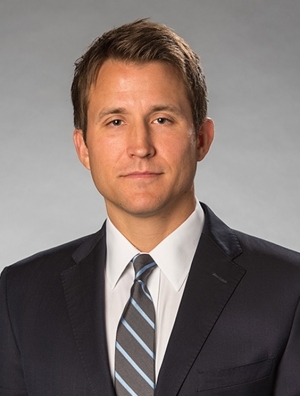 Jason’s banking and finance experience includes the representation of both lending institutions and borrowers in commercial financing transactions, including real estate acquisition, construction and permanent loan facilities, syndicated and structured finance, and the defeasance of CMBS loans. Jason holds an AV® Preeminent Rating by the Martindale-Hubbell Peer Review Ratings system, and has also been selected for inclusion in Southwest Super Lawyers lists in the area of real estate law. He is actively involved in the Arizona District Council of the Urban Land Institute and the Arizona and New Mexico Operations Committee of the International Council of Shopping Centers.